Christmas Cake. I just can't learn to like it, I'm not sure why. 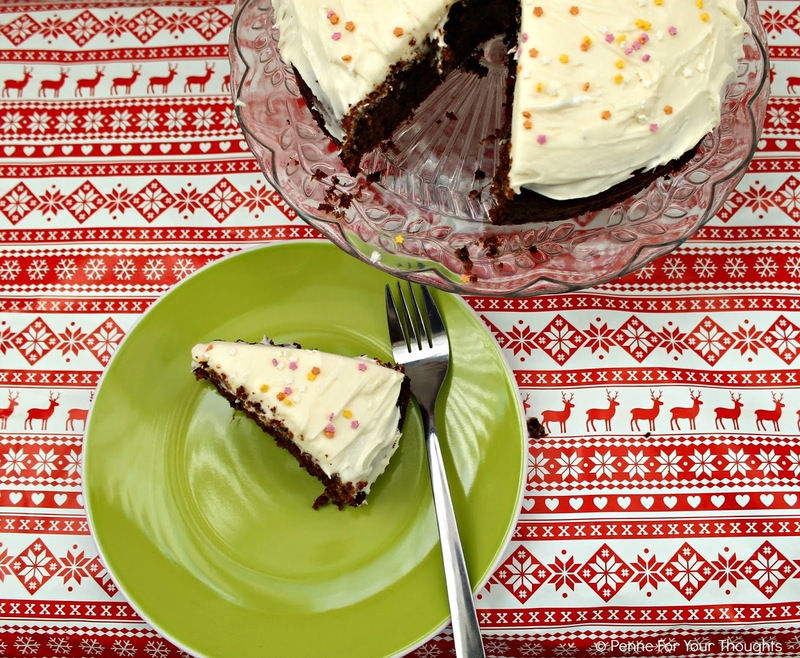 I like every other type of cake, and I love Christmas so put the two together and you should have something rather enjoyable, but for me (and the majority of my family) it seems to be something we bake because it's expected and then it just seems to sit on the table looking untouched and unloved whilst all the other festive treats get all the attention. We've tried numerous recipes, traditional and even chocolate (that one was slightly better) but it's never made me go 'Oh wow'. So, when I was tasked with the Christmas Cake this year I was filled with dread but then I made an executive decision to make a Christmas Cake which isn't traditional and that perhaps would actually be eaten this year. And thus, Gingerbread Cake with Marshmallow Frosting was born. 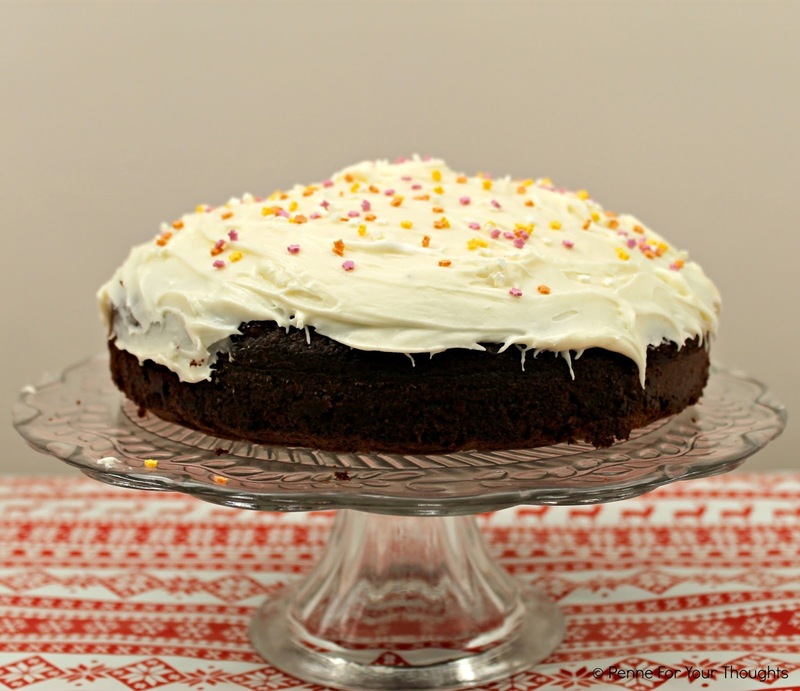 I don't know what else to say apart from this cake is super festive and fills your house with a beautiful Christmas smell, and that's it's well worth the wait. I'm hoping it will be a hit with the family this year. 1. Preheat the oven to 170c and line a 18cm round, 7cm deep cake tin with greaseproof paper, and grease with a little butter. 2. Put the flour, bicarbonate of soda, and the spices into a large mixing bowl. Add the butter and rub it into the flour until it resembles fine breadcrumbs. 3. On a medium heat and in a heavy bottomed saucepan, heat the sugar, treacle, syrup and milk until all the sugar has dissolved. Turn up the heat and bring the mixture to just below boiling point and then remove from the heat. 4. Add the grated stem ginger to the flour mixture, and then pour in the treacle mixture a little bit at a time mixing with a wooden spoon in between each pour. 5. Beat in 2 eggs to the mixture until everything is well combined. Pour this into the prepared cake tin and bake for 50 minutes (until a skewer comes out clean). Leave to cool in the cake tin for around 15 minutes, and then turn out onto a wire rack. 6. Whilst cooling make the frosting by putting all the ingredients into a food processor with a splash of milk and mixing until thick and creamy. 7. When the cake is completely cool, spread the frosting over the top of the cake and decorate with multi-coloured stars, silver balls or anything else festive that takes your fancy! This looks delicious Sophie. I've never used marshmallow fluff, but I've seen jars of the stuff. Is it really sweet? Merry Christmas, I'm sure it will go down a storm! Thanks Angela - it's pretty sweet and sticky by itself staright out the jar but mixed with icing sugar and a little butter it makes a lovely frosting. No sweeter than a cream cheese frosting. 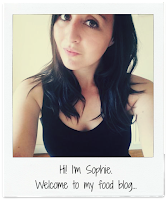 Thans for that Sophie, I've always wondered. Think I'll have to get myself a jar! Thanks Sian - it complimented the ginger so much! Yes! Maybe in front of a log fire too! Hehe. Oh Sophie this is so gorgeous, it's made my mouth water since you tweeted it! I bet the marshmallow frosting has a fab texture as well. Perfect for the Christmas table! 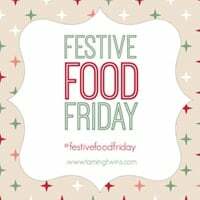 Thanks so much for sharing on #festivefoodfriday.